*Please be aware that on Special Event Weekends an event pass purchase may be required per person in addition to room rental and day passes at Parliament. 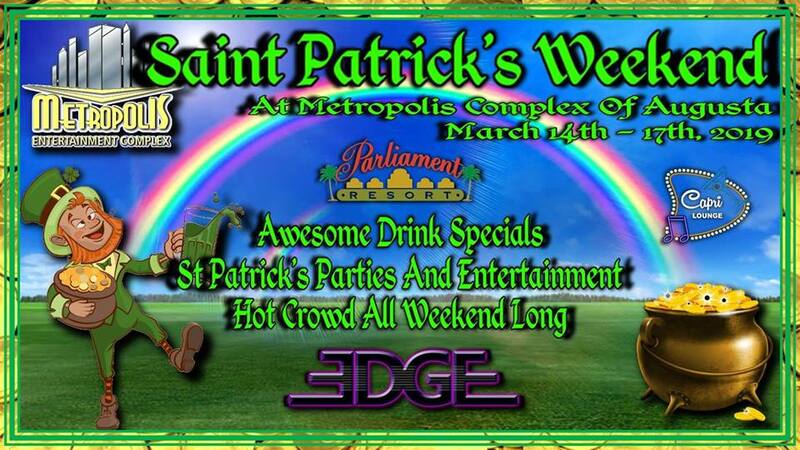 Metropolis 21 Year Anniversary Celebration & Season Opening of the Pool! Poolside Cookout and DJ Saturday Afternoon!! Fist Fest Package Required per person in addition to room rental and day passes at Parliament and Executive Inn. Hot Black Guys, Fun, Food and Parties. May 23rd - 27th Memorial Weekend ! Celebrate with us at Metropolis Complex! 2 Motels! 2 Bars! 2 Pools! 3 & 4 Night Packages available. Weekend Party Pass Purchase Required ($40 per person) in addition to room rental and day passes at Parliament. This one's a sell-out ! Book Early! Hot Southern Guys, Fun, Food and Parties. $30 Event Fee for Southern Slam per person required when making reservation. Thursday Night Only $39+taxes/fees - President's Soiree - Coat & Tie Event. VIP Pass Required. Saturday - Pride Parade on Broad St. downtown Augusta with festival in the Augusta Common. See www.PrideAugusta.org for more details on pride event. 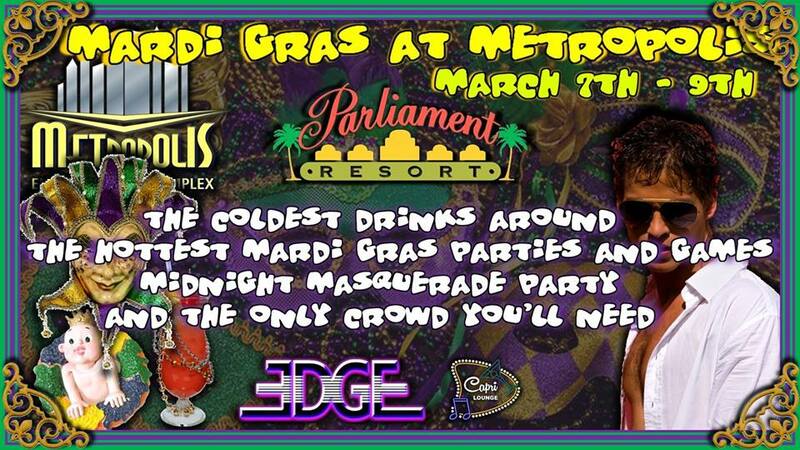 An annual decadent Parliament event that you don’t want to miss! A Leather weekend package is required per person to book on the Parliament side of the property. Weekend Party Pass Purchase Required per person in addition to room rental and day passes at Parliament. This one's a sell-out ! Book Early! (Friday & Saturday stay required.) . Sept 26th - 29th Bears Fur All - Carolina Bear Lodge. Weekend event fee must be purchased from the link on their website to Eventbrite. Fist Fest Package Required per person in addition to room rental and day passes at Parliament. Great 3 & 4 Night Packages ! 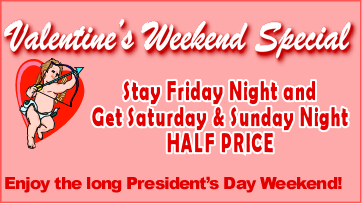 Come Have Fun During the Long MLK weekend!